Adjuvant chemotherapy had impressive gains in disease-free survival (DFS) and metastasis-free survival versus surveillance in upper-tract urothelial cancer (UTUC), according to the results of the phase 3 POUT clinical trial that were presented at the 2018 Genitourinary Cancers Symposium. There was a suggestion of a survival gain with chemotherapy, but longer follow-up is needed. UTUC is a relatively uncommon and neglected disease, and, until now, the use of perioperative chemotherapy has not been the standard therapy. US-based researchers favor neoadjuvant therapy, but no phase 3 clinical trials have been conducted to date. The UK-led POUT trial managed to mount and complete a randomized phase 3 trial of adjuvant chemotherapy in this uncommon disease. “Adjuvant chemotherapy improves disease-free survival and metastasis-free survival. It is feasible in a group of patients with the majority over age 60 years. Adjuvant chemotherapy should be considered a new standard of care. These results should change clinical practice,” stated lead investigator Alison Jane Birtle, MD, MBBS, MRCP, FRCR, Consultant Clinical Oncologist, Rosemere Cancer Centre, Royal Preston Hospital, England, who presented the results. POUT was one of the most often tweeted clinical trials from the meeting, where it was met with much praise. “It is a triumph getting behind a trial with a low-incidence tumor. UTUC is a relatively rare disease, and it is safe to say it is more lethal than muscle-invasive bladder cancer. It has been neglected, with little interest, and can be considered a ‘Cinderella’ tumor,” Dr Birtle said. Standard treatment for UTUC is radical nephrourectomy (ie, removal of the ureter and kidney) followed by surveillance, with chemotherapy given when needed. “There is a paucity of data to guide us as to whether to use adjuvant chemotherapy. Small studies of systemic chemotherapy show a tantalizing hint of benefit in disease-free survival and overall survival, so we set out to explore this in a larger study,” Dr Birtle told attendees. The POUT study enrolled 260 patients with histologically confirmed stage pT2 to pT4 node-negative urothelial cancer after radical surgery. Within 90 days, patients were randomized 1:1 to receive 4 cycles of gemcitabine (Gemzar)-based chemotherapy or to surveillance. The choice of chemotherapy partner, cisplatin (Platinol) or carbo­platin (Paraplatin), depended on glomerular filtration rate (GFR); patients with a GFR >50 mL/min/­1.73 m2 were given cisplatin, and if their GFR was 30 to 49 mL/min/1.73 m2, then the patients received carboplatin. In addition, all patients received supportive care. It took 5 years to recruit 261 patients at 57 centers in the United Kingdom. The baseline characteristics were well-balanced between the 2 study arms. Approximately 66% of patients were male, and the majority of patients were aged >60 years. Approximately 66% of patients had advanced disease, approximately 90% were node-negative, and approximately 90% had negative surgical margins. Approximately 66% of the patients were eligible for cisplatin therapy. The primary end point was DFS. In an intention-to-treat analysis of 260 patients, the 3-year DFS rate was 71% in the adjuvant chemotherapy arm versus 54% in the surveillance arm, for a 51% significant improvement favoring chemotherapy (P = .001). Adjuvant chemotherapy was significantly superior to surveillance in the subgroups according to nodal involvement, planned type of chemotherapy, microscopic margin, and tumor stage (P = .001 for all end points compared with surveillance). The metastasis-free survival rate at 2 years was 74% in the chemotherapy arm versus 60% in the surveillance arm, a 51% benefit (P <.001) favoring chemotherapy. “There is a hint of a survival benefit, with curves diverging early, but longer follow-up is needed,” Dr Birtle observed. As expected, there was more chemotherapy-related toxicity in the chemotherapy arm than the surveillance arm. Grade ≥3 toxicities were reported in 53.2% of the chemotherapy group versus 13.5% of patients in the surveillance arm. “We need to build on this study with international collaboration and have larger studies powered for survival,” she concluded. 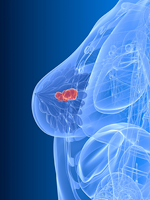 First-Line Olaparib a New Standard in Women with Newly Diagnosed, BRCA-Positive Advanced Ovarian Cancer?